Marvel’s Avengers STATION – Play games and save the world! Celebrate Valentine’s Day GameWorks Style! PRESS RELEASE: Las Vegas, Nev. – In celebration of World Pilot’s Day, All In Aviation is hosting an open house event on April 26, 2019 from 4 – 7 p.m. at their North Las Vegas Airport location, 2830 North Rancho Drive. Open to the public, the family-friendly event will include information about general aviation and how to become a private pilot. Guests with an interest in flying planes can learn about the process through a special presentation on All In Aviation’s flight school program. Recognized throughout the national aviation community as a top flight school, All In Aviation specializes in destination training, where student pilots from across the U.S. learn to fly the most sophisticated aircraft over scenic locations like the Grand Canyon, Lake Mead, Red Rock, Zion and Sedona. The Cirrus Aircraft SF50 Vision Jet, now available for flight experiences at All In Aviation in Henderson. All In Aviation will have its fleet on display at the event for attendees to explore including a 2018 SR20 G6, 2016 SR22 G5, 2015 SR22 G5, 2012 Cirrus SR22 G3, 2008 Cirrus SR22 and the latest 2018 Cirrus SF50 Vision Jet. The world’s first personal jet, the SF50 is the most sought-after personal aircraft in general aviation, and All In Aviation is the first and only flight school in the Southwestern U.S. to offer the SF50 for demonstration jet experiences with a typed-rated, certified flight instructor. 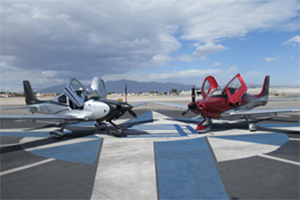 The only Cirrus Aircraft training partner in Southern Nevada, All In Aviation is a full-service aviation company offering flight training, pilot certifications, and aircraft rental, sales, management & storage. Along with Cirrus maintenance partner Lone Mountain Aviation, All In Aviation is currently developing a 26-hangar facility at Henderson Executive Airport (HND). The first purpose-built, multi-use aviation facility of its kind at HND, the complex is set to open in 2019. Dedicated to growing and developing more pilots, All In Aviation is a trusted partner for aviation training, from a student’s very first flight through some of the most advanced pilot certifications. With an emphasis on quality customer care, All In Aviation’s flight instruction is led by highly experienced and professional certified flight instructors. Open to anyone, private pilot training is conducted in the air and in a classroom setting, with most students certified after completing 60-70 hours of instructed flying. As a Cirrus Platinum Training Center, All In Aviation’s fleet includes some of the safest and most sophisticated aircraft on the market. 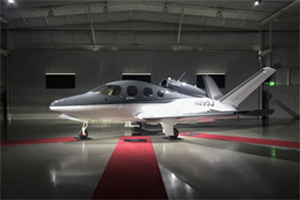 The best-selling aircraft in the world, Cirrus airplanes are equipped with glass panels, air conditioning, and whole airframe parachute systems. For additional information call 702-ALL-IN22 (702-255-4622) or visit https://www.allinaviation.com/. Follow All In Aviation on social media at Facebook: @AllInAviation or Instagram at: @AllInAviation. For just $45 per couple, you can celebrate Valentine’s Day GameWorks style with TWO 1-hour game cards or TWO 1-hour of esports play PLUS a special Chef-created menu for TWO. Enjoy a GameWorks Valentine’s Day exclusive “Lover’s Lane” milkshake, a Strawberry Shortcake special recipe, devised by Chef Tony Leitera. This offer will be available at GameWorks Las Vegas on Thursday, February 14 from 11:00 AM – close at 12 AM. Las Vegas Marriott is a 4-star hotel near the Las Vegas Convention Center. This non-gaming lodging offers a premium good night’s rest and plentiful of space for business events and personal occasions. Given the more corporate atmosphere and expo-centric area, families looking for a more authentic Sin City experience may want to consider something else down the Convention Center Drive. Click to books the Las Vegas Marriott. The Las Vegas Marriott features 278 non-smoking and eco-friendly guestrooms with one King or two Queen beds. The rooms feature contemporary décor accentuated by French doors, marble countertops and plush pillowtop beds. Although internet is for a fee, in-room amenities include one or two 42-inch TVs with premium channels, a mini-fridge, wet bar and coffee/tea service. The 380-sq-foot rooms also feature premium THANN amenities and room service. Las Vegas Marriott breakfast is optional and available in addition to several other on-site dining venues like the golden Café 325 that’s open for casual dining. Guests will also find an on-site Starbucks and an outdoor sports bar that’s located within an outdoor shaded area. There’s also a sundry/convenience store for quick snacks and drinks. Other amenities on the premises include a 24/7 fitness center with LifeFitness cardio machines and free weights, as well as an outdoor pool with a hot tub and fresh towels that’s heated and open daily until 11pm. Businesses can also make use of Marriott’s 3,426 sq feet of event space and one of six event rooms, including the Ballroom for weddings and other receptions. Parking is complimentary and includes electric car charging stations. Although there’s no shuttle service to the Strip or Downtown, the Las Vegas Monorail Convention Center Station just within walking distance and conveniently connected to the rest of Sin City, major hotel/casinos and attractions. Hotel: free parking, restaurant, café, sports bar, pantry, heated outdoor pool, fitness center, business facilities, meeting space, accessible features, concierge, ATM, cleaning services. Room: paid WiFi, pets not allowed, non-smoking, air-conditioning, sofa bed, tea/coffee, flat-screen TV, pay-per-view channels, iPod dock, mini-fridge, wet bar, free bottled water, ironing facilities, hairdryer, THANN toiletries, marble bathroom. Click to books the Las Vegas Marriott.